Nationwide is the world’s largest building society as well as one of the largest savings providers and a top-three provider of mortgages in the UK. The company is a front runner in the financial service sector’s adoption of digital technology and has made a significant investment in information technology transformation. Change is well underway in how consumers choose to interact with financial organizations, and Nationwide recognizes the need to respond to this. Nationwide has seen significant investment and change to harness innovative technology to give its members more choice and flexibility in the way they manage their finances. Nationwide is using Eggplant to support the company’s continued digital transformation. Digital transformation has a significant impact on an organization’s software quality department and Nationwide is no exception, where testing of applications is conducted on over 250 device and browser combinations. Security is the primary concern for any financial services organization, and Nationwide’s policy is that all intellectual property in a development state must reside in the UK on the company’s servers. As a result, Nationwide initially conducted all testing on mobile devices manually at its in-house development locations in the UK. 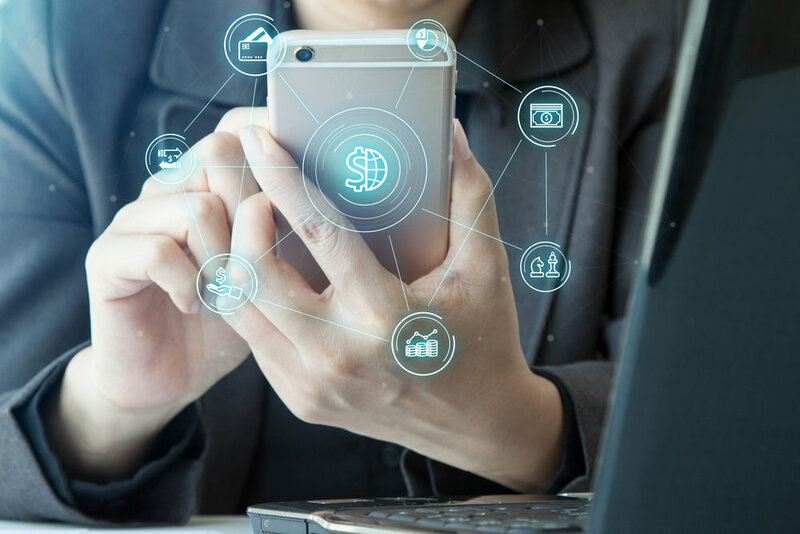 But the company was keen to explore options that would allow it to securely leverage remote testing capabilities for mobile devices to increase testing capacity and productivity across the organization. The company looked at several products and selected Eggplant Functional as the only solution that met all of the criteria. With the initial goal being to enable Nationwide to securely conduct remote testing of its mobile applications, the first project involved an implementation of Eggplant Functional, Eggplant Integrations, and Eggplant Automation Cloud, which sits on top of the organization’s secure Citrix infrastructure. Eggplant Functional is Eggplant's functional test automation solution, which uses a patented, image-based approach to GUI testing that allows it to interact with any device by looking at the screen, in the same way a user does. Eggplant’s user-centric test automation approach also makes it incredibly intuitive for Nationwide to write tests, so anyone can be productive with Eggplant within a few hours. Eggplant Integrations is a collection of simple integration plug-ins for some of the most popular continuous integration and ALM tools to make integration easy. For Nationwide, Eggplant Integration is used to link into HP’s ALM software. Eggplant Automation Cloud is a test device management cloud that allows Nationwide to quickly set up a centralized test lab of real devices that testers can connect to from anywhere. Critically, Eggplant Automation Cloud is a private cloud solution, residing inside Nationwide’s firewall and under its complete control. “We worked closely with Eggplant on the development and implementation of the new architecture needed to support our remote testing goals, and the support team was incredibly helpful throughout the process,” said Di Ruzza. Nationwide’s Eggplant-powered mobile testing platform now supports approximately 50 remote testers. Using Eggplant over a virtual desktop connection, the testers are able to securely access a wide range of device and browser combinations in Nationwide’s UK development centre, and execute test scripts against the applications under test. Eggplant solutions, combined with Nationwide’s dedicated support team made up of UK-based infrastructure engineers, test architects, and partner champions, form the nucleus of what the organization is now calling The Digital Labs. After a successful proof of concept to explore Eggplant Functional’s automation capabilities, Nationwide is currently working to create regression test suites to run across the 250+ device and browser combinations within the organization’s test scope, primarily for its mobile banking applications.